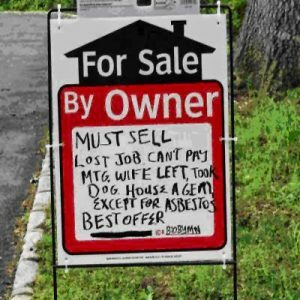 Sell my home without a Real Estate Agent: Have you been thinking about selling your own home? Unsure what your options really are or worried about hidden tricks and traps that will leave you out of pocket? Have you heard you can save huge amounts in commissions compared to using a traditional Real Estate Agent, but not sure what this entails, or if this is the way you want to go? In this article we look at 4 methods of selling your home in the modern world, and the pros and cons of each. This includes selling through a traditional Real Estate Agent; Low Fixed Fee Commission Real Estate Services; Sell my Home without a Real Estate Agent; and No Commission Professional Services. You will probably be amazed when you get to the end to truly understand your options, and hopefully this article will help arm you with information to decide which way best suits you. The Traditional Real Estate game is where you enlist a Real Estate Agent to sell your home. With easy availability to sites like realestate.com.au or domain.com.au for buyers and sellers alike, it is now easier than ever to list your own home from the comfort of your living room. So why would anyone pay between 2.5 – 3% commission plus marketing costs to a Real Estate Agent? After all, that’s an eye-watering amount of had earned cash that equates to about $1,000 / hour you pay to the Agent for their time. For sure that’s something to think twice about! Lots of people still use Real Estate Agents, even though an annual Roy Morgan survey puts them in the top 3 most hated professions in Australia every year – beaten only by advertisers and car salesman. So WHY are people using them still? The answer lies in the category we’ve put them in – tradition. You know they use a process that generally works to sell your home in a given market. While they may vary in ability, there is usually very little doubt in your mind your house is going to sell. It’s going to cost you – usually between 2.5% (cheap) to 3.0% (premium) of the sale price of your home. *Ouch! This is because most Real Estate Agents work on a ‘volume’ model. This means they make money by selling LOTS of properties. Despite the appearance of a big fee, a cut will go to their Agency (e.g. Ray White, McGrath, Coronis etc), so an extra $5,000 on a sale price is only an extra $50 – $100 in their pocket – and just not worth the hassle to them. Most would rather just GET the sale rather than really push for top dollar. Well, if you do it right, you’re likely to get a higher sale price. Savvy investors achieve $3 for every $1 invested. See our article here in Your Investment Property on how we have done this for our clients. There are new entrants to the market like Purple Bricks who are still Real Estate Agents, but offer their services at a much cheaper, fixed rate. This fixed rate includes adding in marketing extras like online advertising listings and photography as part of a single ‘low fee’ commission. At the time of publishing this article these commissions are $4,500 in QLD and $5,500 in NSW. This is an interesting alternative. It is immediately attractive because of the low fee and extra inclusions. Here we explore more deeply the pros and cons. Some marketing costs included – your listing + photography costs could cost around $500. While in the scheme of things this isn’t huge compared to the sale price of your home, every little bit helps! As easy as possible for you – just as above, most Real Estate Agents will take as much as they can take of paperwork and drama out of your hands. You won’t have to deal with potential buyers directly and never have to enter into negotiations. You will probably sell your home – but it is even more unlikely than the traditional Real Estate Model that you will get the best price for it. 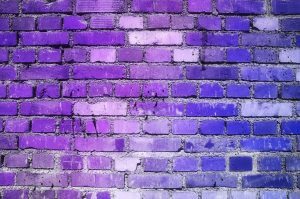 This is because as above, these Real Estate Agents will be sharing some of the $4,500 or $5,500 with Purple Bricks or other similar providers. Even if they’re not, they have zero incentive for selling your home for even $1 more than any offers that may come in; because they are not remunerated for it. They are only remunerated by selling your home at any price. To make what they would otherwise make under the traditional Real Estate model, they would have to sell 4-5 houses per every single house they would otherwise sell. You are probably not going to get a lot of personal attention with this model – cheap and cheerful is the branding and price so premium prices, service & attention aren’t really in line with that model. Selling your home without a Real Estate Agent is also called selling privately, or a Private Sale. This is where you do all the work yourself including presentation, pricing, listing, and negotiations. With the availability of information, and access to online sites like RealEstate.com.au and Domain.com.au, it is now easier than ever to sell your own home. You will have to do all the work – not only what you do under the other models (clearing your home and presenting it), but also making sure you appropriately list it online to attract your target buyers, manage inspections and also manage negotiations with potential buyers. The Assisted Private Sale™ method is where a company like Revolutionary Real Estate will mentor you and help execute the harder parts of selling your own home privately. This is also sometimes referred to as ‘No Commission Real Estate Agent Services‘. 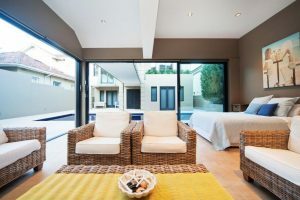 It’s a great alternative to going all-out on your own and selling without an Agent, because they are the experts guiding you through the process with a personalised, professional service. Learn from the experts – You will have expert guidance through the process and 24-7 availability to help with anything that comes up. Revolutionary Real Estate are completely transparent and give you tailored advice on exactly what you need to do to sell your home for top dollar. See here for more about the process to get top dollar for your home that they follow and what you get each step of the way. We think, to pocket an extra $50k, it’s worth a little bit of extra effort. But not everyone has the time or resources to do so. So we totally understand. If you think we would be a good fit to work together with Revolutionary Real Estate to pocket up to $50k extra on the sale of your home, give us a call anytime on 1300 798 292. Hopefully this gives you a comprehensive guide to “Can I sell my home without a Real Estate Agent”?